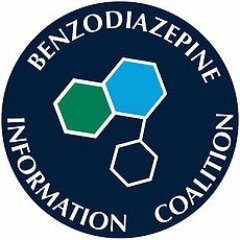 From Benzodiazepine Information Coalition: “This syndrome doesn’t have an alarming and well-known word attached to it, like ‘cancer’ or ‘car accident,’ that instructs people on how to help. It’s a mostly silent epidemic without any instructions for those on the inside or outside of it. Most people conclude that I must be exaggerating, or not trying hard enough, maybe I’m an addict in denial, or some other excuse that blames me, which is usually reasoned with it is unlikely to be this trapped, that something this serious would obviously be widely recognized by medicine. Not so. What it boils down to is this: Myself, and the many thousands of others in my same situation, are in dire need of non-medical support precisely because medical recognition is scarce or unavailable, yet, as a direct result of that medical repudiation, the non-medical support also abandons us. Previous articleTeaching Mindfulness to Children: It’s Easier Than You Think! Here we go with the cult of Heather Ashton again.